This project carries on Holly’s legacy of boosting and empowering new artists. Since 2009, Songmasters has endowed The Holly Prize, an annual award juried and presented by the Songwriters Hall of Fame to recognize and support the “all-in-one songwriter,” an exceptionally talented and inspired young musician/singer/songwriter whose work exhibits the ambition and artistic qualities of Holly’s music. 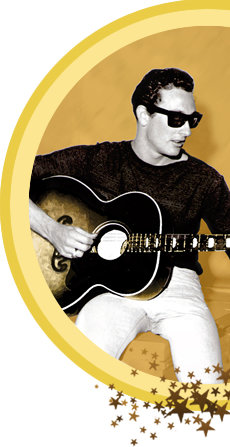 Listen To Me: Buddy Holly will also benefit numerous music-related organizations – including The Grammy Foundation’s “Grammy Camps” and Artists’ House Music – each of which support the artistic growth and professional development of young musicians and industry innovators. Additionally, the winners of the Listen To Me National Talent Competition, launching later this Fall, will receive grants, cash and product awards, and performance opportunities to help launch their professional careers in music.